Aleksandr Golovin has signed a five-year deal with Monaco, the Russia international having been previously linked with a move to Chelsea. 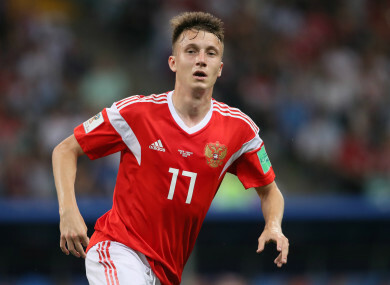 Monaco vice-president Vadim Vasilyev suggested this week his club had won the race for Golovin and the deal, reported to be worth around €30 million, was completed on Friday. Email “Monaco complete five-year deal for Russia's 22-year-old World Cup star”. Feedback on “Monaco complete five-year deal for Russia's 22-year-old World Cup star”.